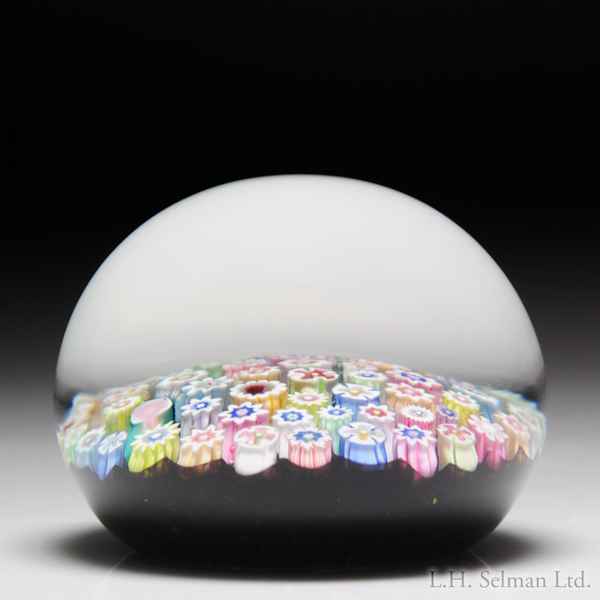 John Deacons close packed millefiori paperweight. Cogs, crosses, ogee-tipped cogs, crimps and ruffles, including a rose cane, a thistle picture cane and a heart, are dispersed on a translucent dark purple ground into a pastel-colored prairie. Diameter 2 5/16".